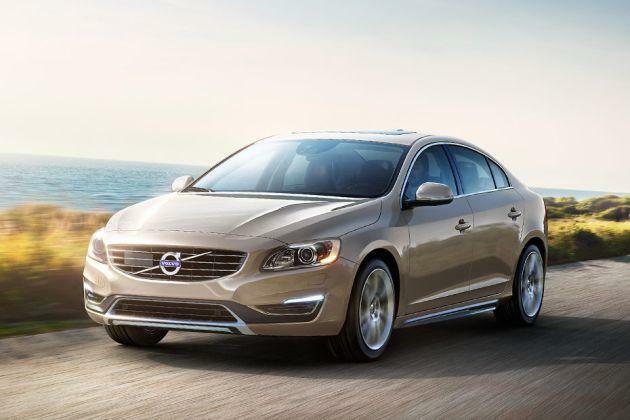 Volvo, the Swedish car maker in India has launched the updated Volvo S60 in the Indian subcontinent. Offering the refined avatar of Volvo S60 saloon at a right time in India, the company must be hoping to get a decent number of sales this year. This classy saloon is offered in three exciting trims for the buyers i.e. the D4 KINETIC, the D4 SUMMUM and the D5 SUMMUM. With a variety of trims now available for this luxury saloon, the buyers will get the pleasure of typical Volvo ride in multiple trims with different features. However, the company may have to face tough competition with other popular cars in the segment like Mercedes-Benz C-Class, Volkswagen Passat, BMW 3 Series and Audi Q4. In the S60 line-up, the S60 D4 SUMMUM is mid variant that is priced at Rs. 32.50 lakh (Ex-showroom New Delhi) . This time the company has done several alterations in Volvo S60 to make it more unique. Changes have been done in the exteriors and interiors and to make the vehicle more appealing from both outside and inside. Features have also been added to make the machine more premium than ever before and the engine has also been slightly tweaked. Volvo S60 D4 SUMMUM also receives advancements to impress the patrons. The perfect additions in the interiors and the cosmetic changes in the exteriors make it worthwhile. The exteriors of Volvo S60 D4 SUMMUM are changed a bit in comparison to its past generation. The front facia of this car has become broader that makes it look more muscular and more premium. Even the grille becomes wider which looks all appealing with chrome outline and company badge. The other modest features in the outfit are the daytime running headlamps that are shaped nicely to give a different stance. The hood looks sober and the creases make the profile bold and muscular. Moreover, the bumpers look all sizzling with the trendy shape and dynamic fog lamps surrounded by the chrome lining. The blackened air-dam at the front bumper centre further makes it cosmetically appealing. Muscles are also noticeable at the sides on the lower end of the side doors and the large alloy wheels with a great design give it a sporty touch. The elegance of the S60 D4 SUMMUM can be seen at the windows that gets chrome outline. Added to this, the body coloured ORVMs with perfect shape and body coloured door handles are the best from the company. At the rear too, the neatness and attractiveness continues and the tail lamp cluster gets the fresh look. The boot lit of the car also gets stylish design and the company signature embossed makes it an eye-catchy animal from the rear profile too. Furthermore, the black and body coloured bumper receives elegant design and the twin sporty chrome exhausts are a great addition to the sports sedan characteristics. Inside too, the S60 D4 SUMMUM is a premium Pullman which receives slight changes. You will discover the all new instrument cluster with TFT crystal display in three graphic themes. Even the upholstery is entirely new and looks neatly mated everywhere. The steering wheel also gets refined and gets premium leather wrapping. For the easiest drive, the company has placed controls on the steering wheel. The dashboard is built from the expensive materials and gets attractive styling. Seats get the perfect shape to cater you a comfortable ride along with the lumbar support and adjustable headrests which further assist in increasing the comfort levels. You will come across spacious cabins in the all new Volvo S60 D4 SUMMUM that gets ideal leg-room, head-room and shoulder space to ensure feel-free ride . The interiors of the variant are made of best materials with best design to offer you best in class driving experience. With the raised up comfort levels this car is sure to delight all the premium sedan seekers. Volvo S60 D4 SUMMUM variant comes powered by an efficient 2.0-litre diesel mill which is calibrating enough to produce maximum power of 163bhp at 3500rpm and maximum torque of 400Nm at 1500rpm. Added to this, the engine of this car is mated to a 6 speed manual transmission that performs the gear changing effortlessly. Other than this, the performance of the car is incredible and it can cross speed mark of 0 – 100 kmph in just 9.4 seconds with its top speed being 215kmph. The all new Volvo S60 comes installed with the package of latest features that makes it an ideal car with perfect braking as well as handling. It gets the Driver Support Package including the Ground breaking support that further assists in detecting the crossing pedestrians and alerting the driver to avoid any collision. In addition, the car gets features like Queue Assist, Adaptive Cruise Control and Distance Alert so as to assist in maintaining distance from other vehicles. Other than this, the company has added features like Collision warning with Full Auto Brake, Pedestrian Detection and Driver Alert Control . In order to maintain proper control and stability, features like Dynamic stability and Traction control with Advanced Stability Control are truly helpful. The S60 D4 SUMMUM maintains fine road grip even while you drive it at high speed. Its front Independent McPherson and rear Multi-link suspensions work perfectly and irons the pot holes and jolts. The engine is highly responsive and so is the acceleration that avoids any sort of turbo lag. Even the steering of the car is efficient enough to turn the car easily in difficult conditions. The new Volvo S60 D4 SUMMUM gets lots of class leading comfort and convenience features to offer you with the premium most ride. It comes loaded with Digital instrument cluster with active TFT Display, Premium leather upholstery, Multi-purpose steering wheel, AC with climate control, LCD screens for rear passenger entertainment, Power steering Power windows, Multi-media Information System , Bluetooth with Voice call, Portable Navigation System (Ultra-thin), Traffic Message Channel, Alloy wheels, Engine start/stop and many more. The company has ensured that safety comes at its best in the S60 D4 SUMMUM and it comes loaded with Anti-lock Braking System (ABS), Central Locking, Brake Assist, Dual front airbags, Keyless entry, Vehicle stability control system , Distance Alert, Adaptive Cruise Control, Full Auto Brake, Queue Assist, Driver Alert Control, Pedestrian Detection, Traction control etc. Pros : Best in class features, excellent styling, soothing interiors. Cons : Limited service network, high price tag. Volvo S60 2013-2015 is available in 4 different colours - Vibrant Copper Metallic, Crystal White Pearl Metallic, Passion Red Solid, Power Blue Metallic.